I love this album so sad and interesting. When is this going to be re released? On a nice honey coloured vinyl perhaps ..and with extras please ! 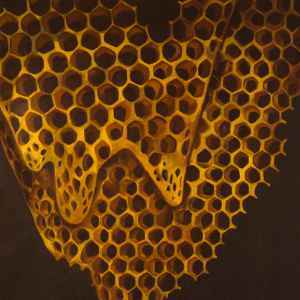 Telefon Tel Aviv’s second album, MAP OF WHAT IS EFFORTLESS, sees them going bigger, starting off with the orchestral density of “When It Happens It Moves All by Itself,” though their rhythmic intensity hasn’t abated in the least. Vocal textures also make an appearance, hinting at the addition of lyrics that will come on “I Lied.” The hip-hop attitude of “My Week Beats Your Year” feels somewhat out of place, but the blissfulness of “Bubble and Spike” brings things back into the atmosphere. The orchestral strings drench the title track, before a hint of R&B slides onto the vocals of “Nothing is Worth Losing That” and a rough industrial quality permeates “What It Is Without the Hand that Wields It.” But the gentleness once again returns for the heart-monitor steadiness of “What It Was Will Never Again” before an electric guitar slams its way onto the track. The guitar stays more acoustic on the closer, “At the Edge of the World You Will Still Float,” though it doesn’t stay lonely for long. While not as sublime as their debut, it’s still a beautiful album. can you believe i found this in 2013 for $15 in mint condition and didn't buy it? went back the next day and it was of course gone. "What It Is Without The Hand..." blows my mind every f*ng time. This ain't "glitch pop" (except "My Week Beats Your Year") but it is Glitch. A tremendous sophomore release from this incredible duo. The double vinyl pressing of this is fantastic quality. Otherwise, I would spring for the 50 bucks.